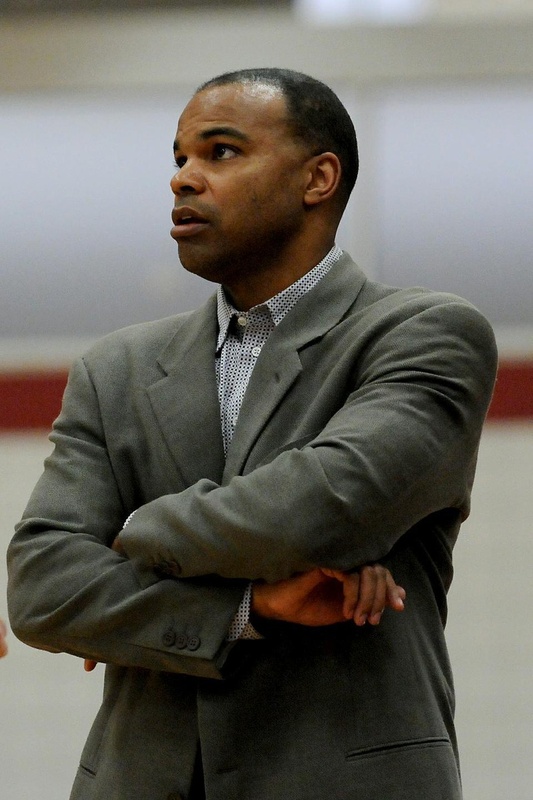 Harvard coach Tommy Amaker will remain at the helm for the Crimson, he announced Tuesday. With a potentially lucrative coaching offer beckoning in South Florida, Harvard men’s basketball coach Tommy Amaker leveraged interest shown by the University of Miami to secure guarantees of resources for him and his coaching staff, including a pay increase for his assistant coaches and future work on Lavietes Pavilion, according to a booster involved in men’s basketball. Amaker met with officials from the University of Miami on Monday, sparking fears that the coach credited with bringing the school a share of its first-ever men’s basketball Ivy championship would leave Cambridge. But the next day, Amaker announced that he would remain at the helm of the Crimson. “I am appreciative of and flattered by the interest shown in me by other fine universities, but I am proud and honored to represent Harvard,” Amaker said in a press release. His continued presence at Harvard will come with additional perks to the program here, according to the booster, a member of the alumni organization Friends of Harvard Basketball. “I’d say that, as a result of this, the Friends are stepping up their efforts even more than what we did prior to this—absolutely,” the booster said, who was granted anonymity to maintain his relationship with Harvard. While there were a number of factors affecting Amaker’s decision—including his wife’s position as a faculty member at the Harvard Medical School—the additional promises likely made it easier to turn down overtures from the Hurricanes, which reportedly featured a five-year offer worth $1.1 million per year. That contract would have vastly surpassed Amaker’s yearly salary at Harvard, the booster said. “I think Tommy was looking for a reason to stay, and it just helped justify it in his mind that this was the right place for him,” the booster said. Last year, when signing a multi-year extension on his contract with Harvard, Amaker had presented the school with a set of changes to be delivered over time, including work on the Lavietes Pavilion locker rooms, which was completed last summer. And with overtures from Miami, Amaker and his agent David B. Falk—best known for representing notable NBA clientele such as Michael Jordan—seized the chance to strengthen the coach’s negotiating position with the University. “I do think part of this, meeting with [University of Miami] no doubt was a little posturing on his side to make sure this wish list of his was sort of accelerated,” the booster said. On the list of his requests was a country club membership, first reported by Sports Illustrated writer Pablo S. Torre ’07, a former Crimson sports editor. It remains unclear whether the boosters will act to fulfill that request. But among the program’s supporters, Amaker’s wish list did not raise eyebrows. A former head coach at Seton Hall and Michigan, Amaker’s name had been linked to an opening at Georgia Tech earlier this year, but the move to South Beach was the first potential offer that he was reported to be seriously considering. Amaker’s interest was surprising to some given the lack of cachet associated with the position at Miami as well as Amaker’s success at Harvard. In four seasons with the Crimson, Amaker has led the program to a share of its first-ever Ivy championship and the two best seasons in school history. Harvard looks to be the heavy favorite to capture the top spot in the Ancient Eight next season. —Staff writer Dennis J. Zheng can be reached at dzheng12@college.harvard.edu.